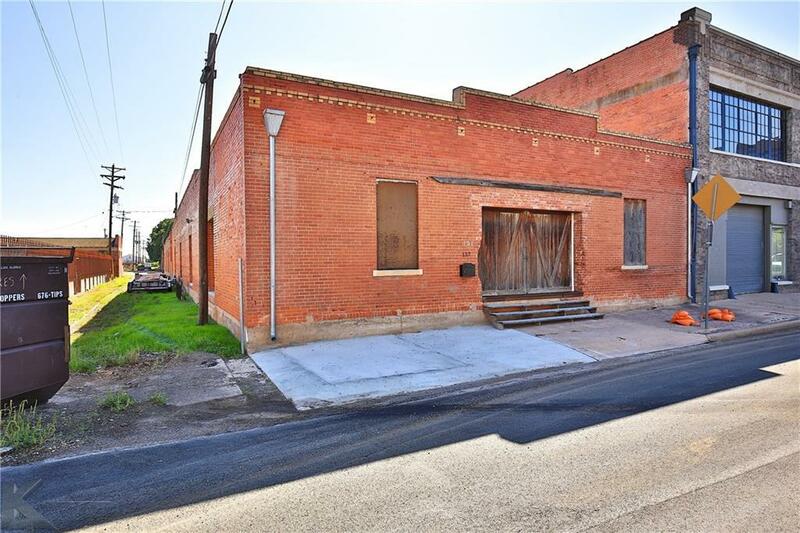 Built in 1920, this 7,000 SF brick warehouse building is sited in Abilene's South Downtown District. 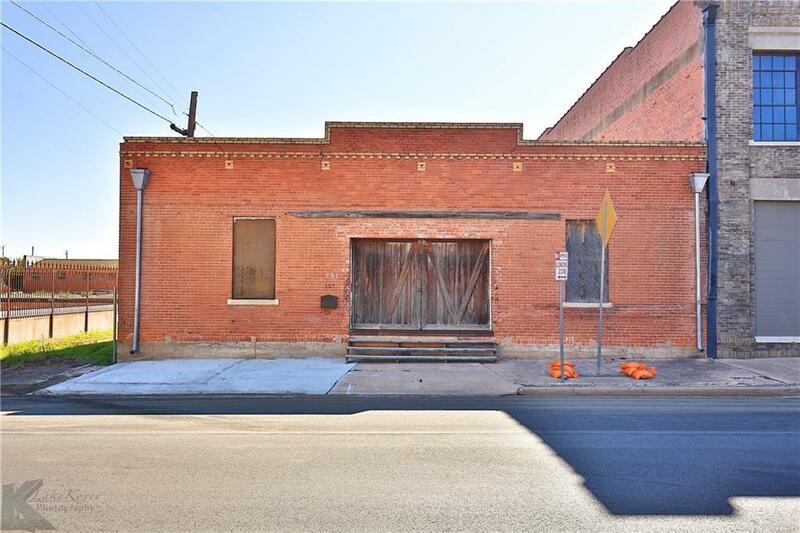 The building features 12'-14' ceilings, 13 inch brick walls, barn doors on the front, a 15'x10' overhead door in the back and three 6'x8' barn doors on the N side of the building with a fourth opening that is currently framed in. 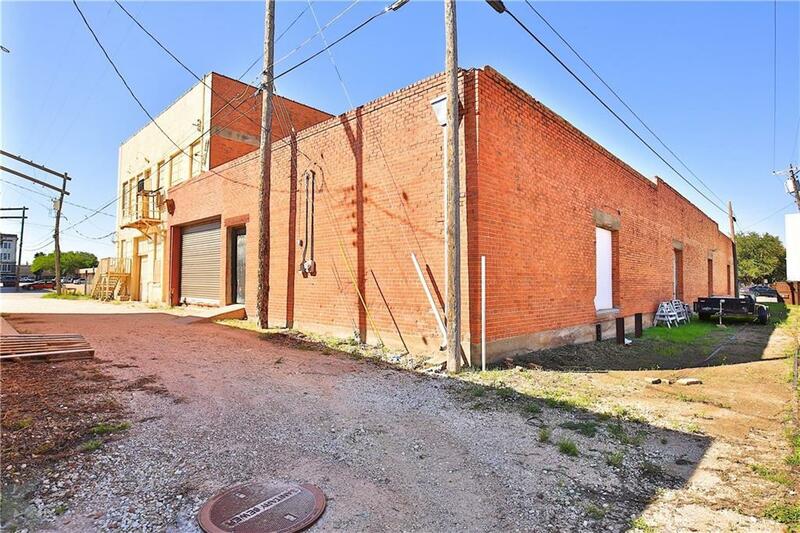 The city deeded 10' of an old rail spur to the N of the building to the owner, which is now part of the property. A utility easement exists, but a deck or something similar could span the N end of the building. 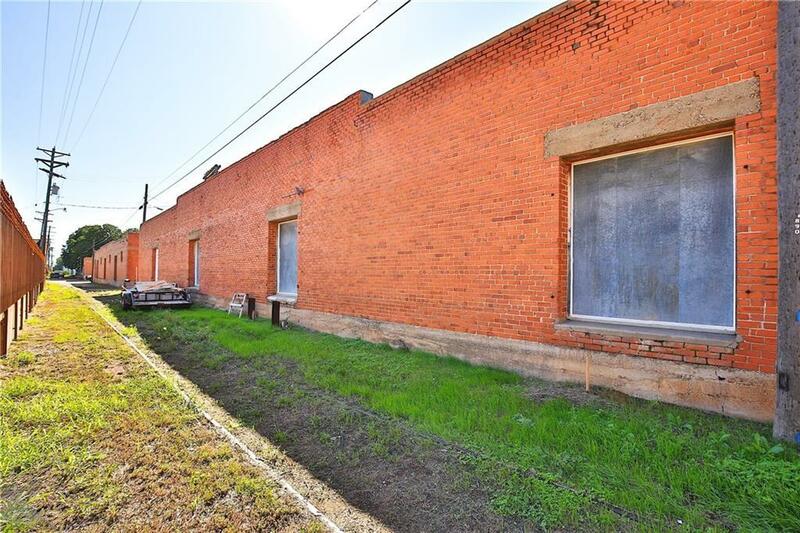 Water, sewer and gas are all available at the back of the property. A few thousand original bricks are also available. Zoned CB. Offered by Mitch Barnett of Barnett & Hill.